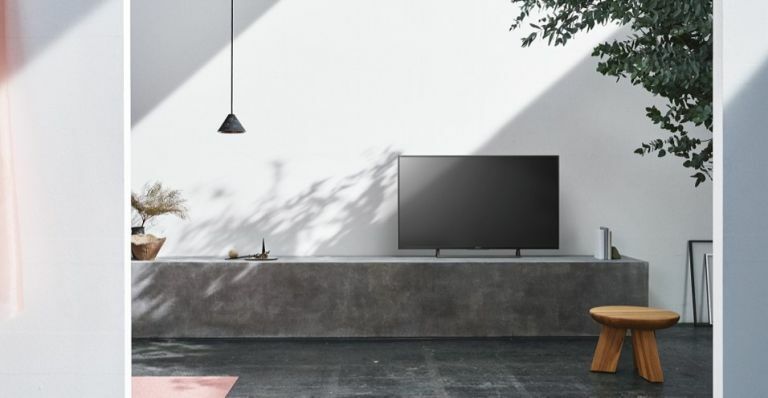 Sony is preparing to launch its next big wave of 4K TVs - the XE70 range - which boast some of the firm's most advanced proprietary tech, including 4K X-Reality Pro powerful image processing, Motionflow XR and more. It's pretty impressive tech where individual parts of each scene are analysed and matched with a special image database that independently addresses texture, contrast, colour and edges to produce a more realistic image. The range even creates and inserts extra frames between the original ones, compares key visual factors on successive frames, then calculates the split second of missing action in the sequences. Add to that multiple exclusive sound technologies, such as ClearAudio+ fine-tunes TV sound for an immersive surround experience) and you're getting a setup that allows music, dialogue and effects to be heard with greater clarity. Are you in the market for display that would put most TVs in your living room to shame? That's what LG is looking to do with the upcoming 43UD79-B - a 42.5-inch monster that's so big it can be divided into four separate 1080p panels on-screen. Think of it as four 21-inch 1080p monitors sown together, with each one offering a brilliant level of clarity and detail side-by-side. The specs are practically overflowing, too with 3840×2160 pixels, a 60 Hz refresh rate, 1000:1 contrast ratio, 350 cd/m² brightness and more. Prepare for quite a lot of setup if you want to get four different screens running at once on the new LG model, but should you need to multi-task on a level usually found only in techno-thrillers, this is the monitor for you. The LG 43UD79-B will go on sale in Japan on 19 May for 83,000 yen (which is about (£570). However, there's no word yet on a UK/EU release just yet. French sportswear firm Salomon has just unveiled a brand new production process it hopes will revolutionise the footwear world and how quickly and efficiently sports shoes are made. Better yet, the system will also enable the Annecy-based firm to offer an incredible level of customisation. Hot on the heels of Salomon’s new S/LAB ME:sh range of running footwear, the new setup will enable customers to enjoy the same level of professional quality and customisation pro athletes have been enjoying for years. The goal of Salomon S/LAB ME:sh footwear is to deliver a shoe that is built around the foot of the individual. To do this, the footwear team at Salomon deconstructed the concept of fit, focusing on four key areas: anatomical fit (foot shape), biomechanical fit (during movement), where and how the individual will use the shoes, and personal preferences such as feel and cosmetics. From 1 June, customers in France and Belgium can visit any of nine different retailers that will be offering the new setup onsite, including said customisable range, one suited to the retailer itself and a third co-designed with pro athlete Kilian Jornet. Prices start around $250 (£194).